Kids learn thoughtfulness (giving to others) and simple craft skills (cutting with scissors, using tape and glue) creating a present for Dad’s special day. To make the necktie napkin ring, cut two inches off the end of a cardboard tube. Glue on construction paper for the knot and shirt collar, and a button on each side of the button-down shirt collar. 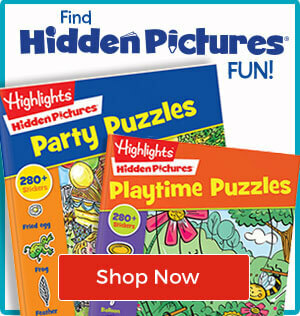 Decorate for your special dad. The finishing touch: Tuck a napkin into the napkin ring to create the lower part of the necktie. Carefully lay the “tie” on Dad’s plate. 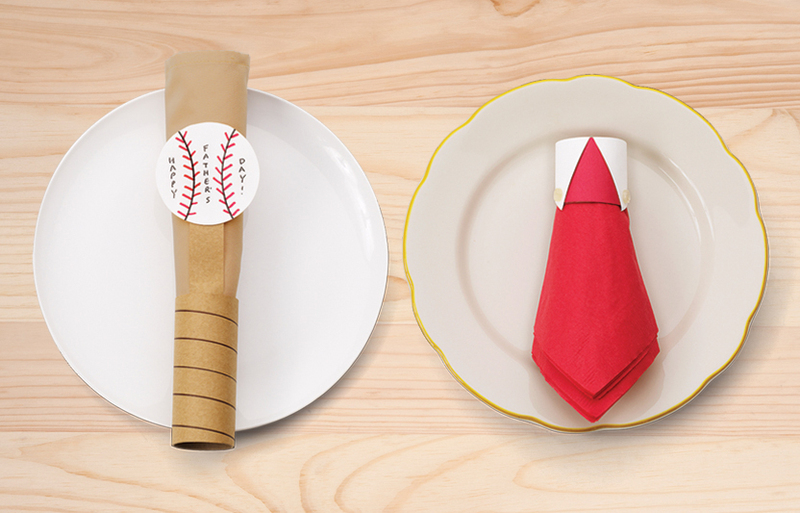 To make the bat-and-baseball napkin ring, cut a bat and baseball from construction paper. Use markers to add “stitching” to the ball. Tape the bat to the napkin ring, then glue the baseball on top. For younger kids: Instead of a necktie napkin ring, make one decorated with Dad’s favorite Hawaiian shirt, slippers, tracksuit. Dad’s not into baseball? Cut out a sneaker, basketball, water bottle, or sailboat. As a joke, cut out a “stain” and lay it on dad’s necktie; make him guess what it is. For older kids: Make seven napkin rings and mark them with the days of the week. Make each napkin reflect what Dad might be doing that day: coffee on Monday, pizza on Tuesday, a remote control for movie night on Friday, a lawnmower or hedge clippers on Saturday, a Bible or Frisbee for Sunday, etc. Optional bonus: tuck two tickets to a ballgame under the baseball napkin ring.